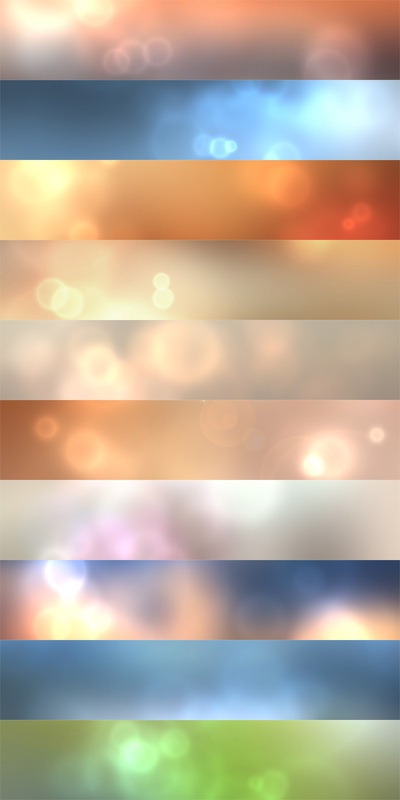 Here it comes – a pack of 10 blurred backgrounds with some bokeh effects. Those are not really too difficult to be painted in photoshop, but it’s handy to have a library of those each time we need to put something online fast. Those are perfect to serve as a background to display electronic devices – smartphones and tablets look awesome on them, however don’t feel restricted to use them that way – you are always free to experiment. License: they are free to be used in personal and commercial projects. Links and shares will be appreciated, but are not required. You are not allowed to sell them or give away as yours. If you want to share the goods, please link to this page. Blurred backgrounds by eAnka – click to download!